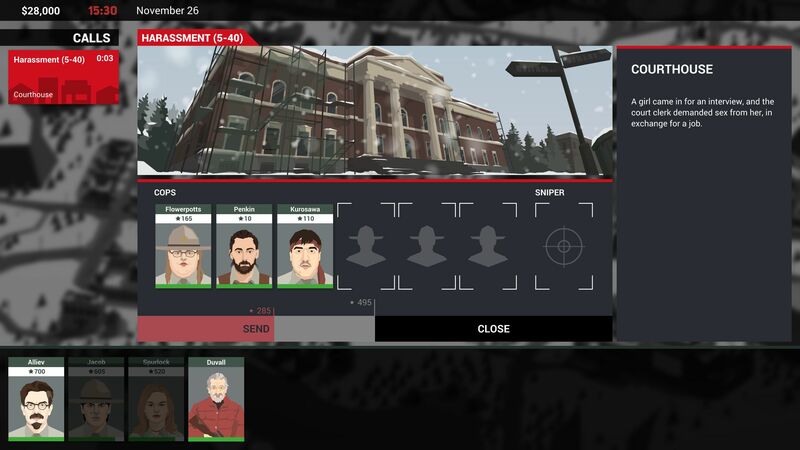 This is the Police 2 is a multi-genre video game. Offering elements of simulation, turn based strategy, RPGs, and visual novels, This is the Police 2 thrusts players behind the desk of the police commander in Sharpwood, Alaska. This backwater town is anything but sleepy, as its plagued with crime and a criminal organization known as the Neckties. 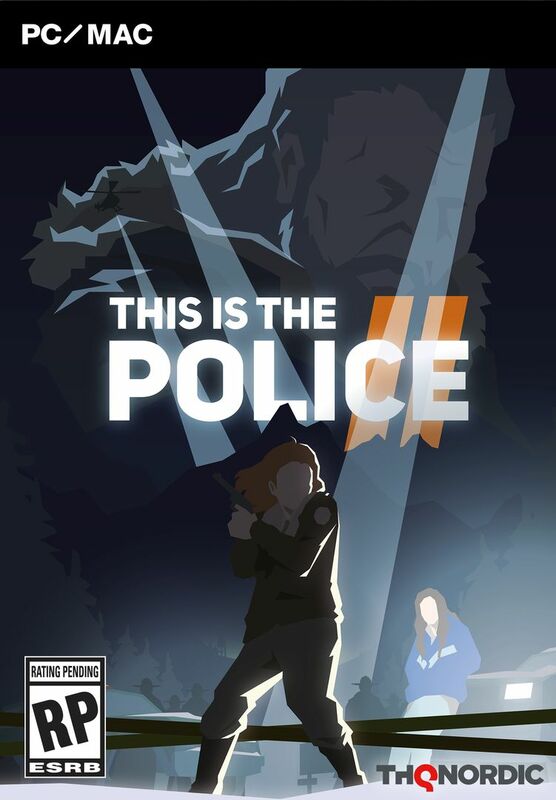 This is the Police 2 is set a year after the events of This is the Police. Jack Boyd has reappeared after going into hiding, looking to avoid jailtime. Lilly Reed has just been thrust into her new leadership role as Sheriff of Sharpwood after the death of her mentor. Reed is struggling to find her confidence as a leader and some of her new subordinates are less than thrilled about having a woman in command. The story in This is Police 2 is excellent. Although I have not played the first game, the writers do a good job allowing players to select their version of events from the first game and always introducing old characters properly. The plot is captivating. Jack is a man on the run who has little problem falling back to his old ways. His rough and tumble style conflicts wonderfully with Lilly’s by the book mindset, but the two are in a tense dance as Lilly and Jack find themselves in a position where they must rely on each other for their short-term goals. The side stories involving individual police officers and local crime is also well written, often being a light hearted to balance out the generally dark nature of the main plot. This is the Police 2 is much like a buffet: you get a sample of everything without going too deep. While the game has elements of many different genres, it mainly breaks down to managing the police department, solving mysteries, leading tactical assaults during major crime events, and following the unfolding drama. The game generally executes all the mechanics well enough, but generally falls on the simpler side of the scale. Simplicity isn’t necessarily a bad thing as there are so many different gameplay elements being thrown around. Everything comes together quite nicely for the most part, though the police department management sim can get a little repetitive after a while. The turn-based strategy section is probably the strongest gameplay element. It’s also the most mechanically complex portion of the game and puts up a decent challenge that will keep players on their toes. 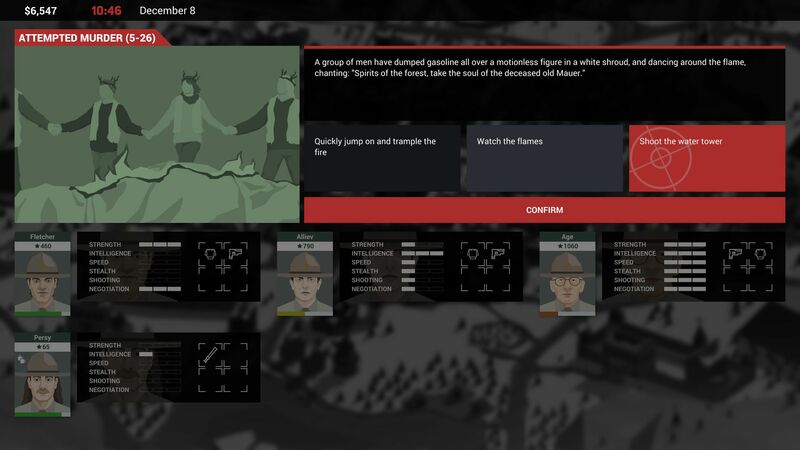 This is the Police 2 does an awful job explaining basic mechanics like officer loyalty. Players are often left groping around in the dark until they figure things out or relying on guides. This further exacerbates one of the biggest weaknesses in This is the Police 2, the game has a feedback loop that is really hard to break out. Failing to deal with crimes, being defeated in tactical battles, and losing officers means less currency to purchase equipment and new officers, which makes it even more difficult to be successful in the future. Once I figured out the basic mechanics of This is the Police 2, I found it was faster and easier to simply start a brand new game than to deal with the poor situation I found myself in from learning how to play. 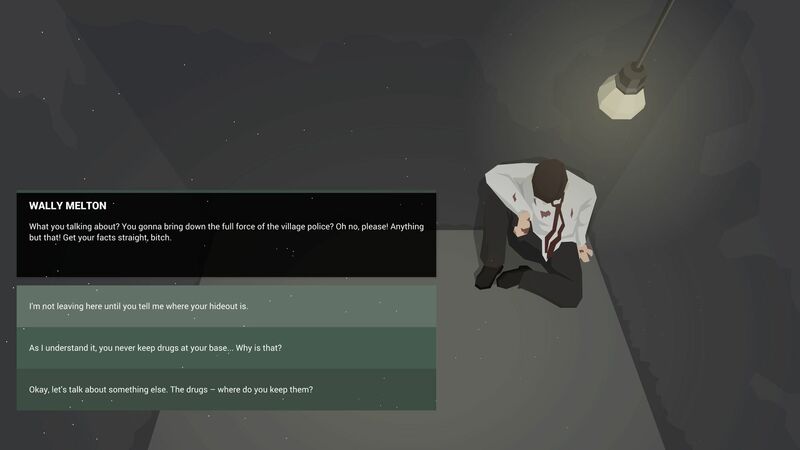 This is the Police 2 has a minimal aesthetic style that is striking and unique. While it looks great as a still image or a 2D animation, the art style fares poorly when used in a 3D animation. It looks a bit awkward and out of place. The comic book style presentation lends itself well to both the game’s audio drama and simulation sections. The art style supports the audio drama nicely without being overpowering or hogging the user’s attention. While it has a visual element, I would consider This is the Police 2 to be more in the vein of an audio drama than a traditional narrative based video game. Since cut scenes only use simple comic-style visuals, the game relies heavily on the skill of the voice actors and the sound effects to tell the story. The sound effects are used well, letting players fill in the blanks between panels. The voice acting is decent. While Lilly and Jack’s voice actors do a good job with their lines, it feels as if the two did not get the chance to record their lines together as the tone and pacing of their lines do not always flow together nicely. The quality of voice acting for minor characters varies a bit more, with some characters like the courier doing an excellent job and others like Charlie Fletcher sounding similar to nails scratching a chalkboard. Music plays a smaller role in this voice acting heavy title, but the soundtrack has a nice jazzy flair. I only wish there was more of it as the same few songs tend to get repetitive after a while. This is the Police 2 is a solid audio drama with some decent adventure, management, and simulation gameplay added in. The voice acting is good, though a little rough around the edges at times. The game’s two biggest weaknesses are a nasty feedback loop that is hard to break and poor guidance on how to play the game. These issues could be manageable on their own, but the lack of quality instructions simply sets players on a bad path that is hard to recover from. This is the Police 2 is worth a try for audio drama lovers who are looking for some intriguing gameplay and solid visuals to compliment the drama. 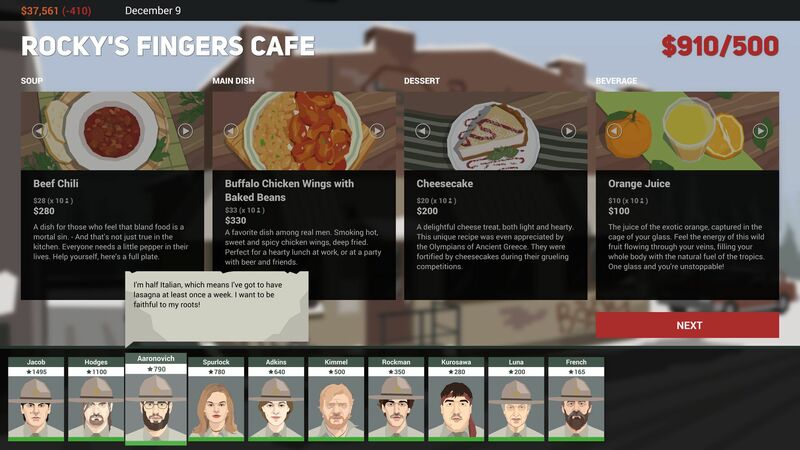 This is the Police 2 is a video game buffet that offers samples of many genres. Generally solid, it is hobbled by poor quality tutorials and a feedback loop that is hard to escape.